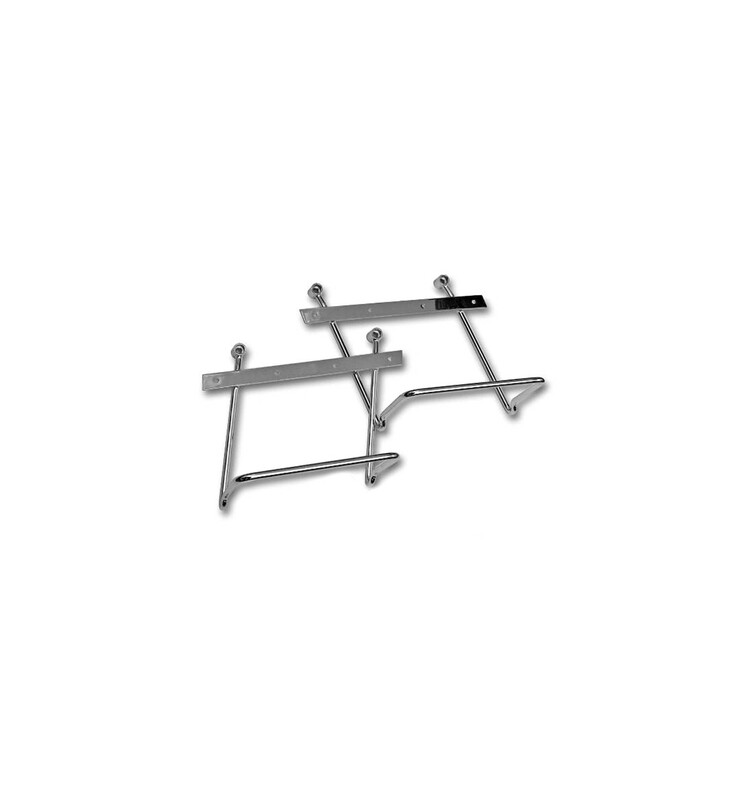 - High quality chrome saddlebag support brackets to fit Harley Davidson Dyna (2006-on), EXCEPT FAT BOB MODEL. - turn signal relocation is required !! !, relocation brackets are not included. - it is possible that saddlebag supports fits earlier versions too. Please measure distance between screws in your motorcycle and contact us for checking. - Perfectly manufactured, finished with a high quality chrome. - These brackets are much better than the standard ones as they give your saddlebags extra support and help them keep their shape. The brackets also protect your saddlebags from burning from the exhaust. 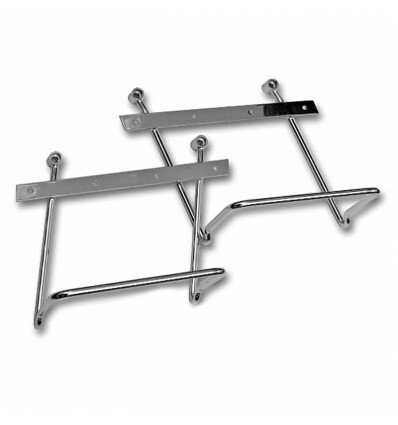 - Each bracket has four holes, so you can mount your saddlebags securely using bolts (included), which can protect your saddlebags from being stolen. - These bars can be used with all kinds of saddlebags. 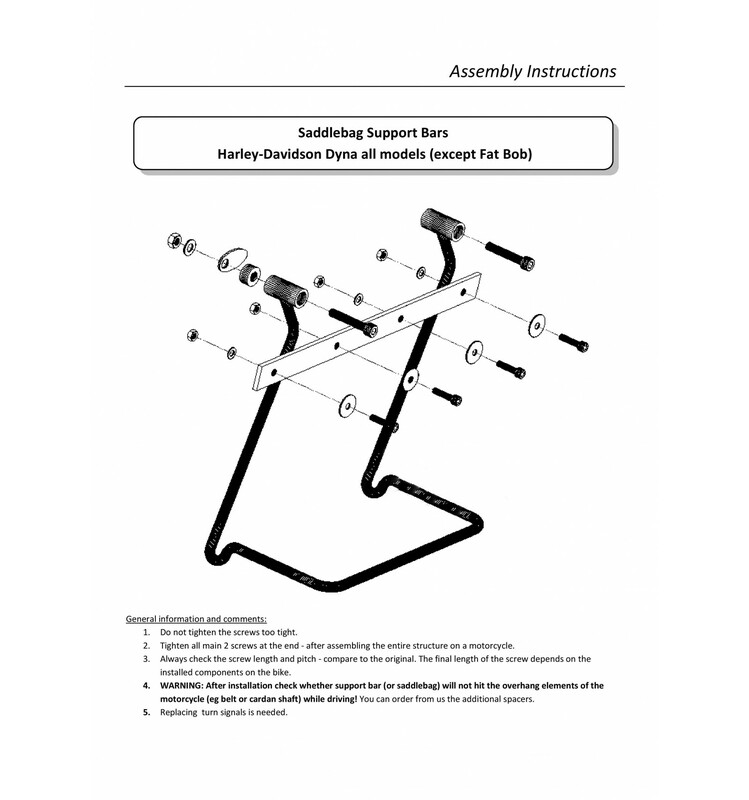 - One set includes two brackets: left and right, mounting bolts and assembly instructions.